Until I ran across this book in the Library I thought that Charlie Chan was merely a fictional character in old movies and novels. Boy, was I wrong. Charlie Chan, that most honorable of Detectives, is based on the real life of Detective Chang Apana of the Honolulu Police Department. The author, Yunte Huang, begins the book with a short, but fascinating history of the Hawaiian Islands. Horses were first introduced there, along with beef cattle, in the early 1800's. Are you wondering how this fits in with Charlie Chan? So was I.
Chang Apana was born in Hawaii in either 1869 or 1871, the record is sketchy on that. His given name was Ah Pung. At the age of three his family, which had emigrated from China a few years earlier, decided to move back home. The move to Canton opened Chang's eyes to a different world from that to which he was accustomed. At three years old he was expected to contribute something to the household, even picking up sticks for firewood was a helpful chore. Canton was a squalid village in the 1870's, with not much opportunity for advancement. It wasn't long before the family was broke and Chang's parents sent him and an Uncle back to Hawaii as laborers. Chang was 9 years old at the time. Arriving in Honolulu was not the romantic affair depicted in the movies. Rather than a Lei, upon arrival young Chang is given a metal tag to wear which identifies the plantation he belongs to. He is basically a serf, a part of the Chinese "coolie" labor system which was in practice then. Hawaii had a large cattle industry by this time, as well as sugarcane fields. Young Chang would come to know them both well. But his expertise began to show itself when dealing with cattle, and he bacame one of Hawaii's best known "paniolos", or cowboys. His experience with a whip would later earn him a reputation as a fierce "no-nonsense" law officer. But his big break into the "white" world came via Helen Wilder, the daughter of a wealthy American businessman. Ms. Wilder longed to establish a Hawaiian branch of the Society For the Prevention of Cruelty to Animals. The initial effort failed, but Ms. Wilder was determined to make it work, so in 1898 she was able to re-establish the effort as The Humane Society. Her first choice for an officer was Chang, who had been working for her father and had demonstrated his ability to work with animals, as well as care for them. He was a very busy man. Along the waterfront alone, there were hundreds of cases per month of people not feeding their horses, or beating them until they dropped. Chang fashioned his own whip and began to issue fines, as well as beatings, to those who did not think he was serious. The author, Mr. Huang, takes every opportunity in this book to tie the history of the island in with the story of Chang and his rise to top Detective. For instance, he explores the complex nature of being Chinese in an American "possession" like Hawaii. He explains the meaning of the Chinese queue, or "pigtail." In China the queue was mandatory, cutting it off would get you beheaded. Many Chinese, even after leaving China, could not bring themselves to cut their queues off. Chang had no such reservations. This cultural dilemma also extended itself to the actions of Chang as an Officer with the Humane Society. As a Chinese, Chang would have believed in re-incarnation. This means that whenever he saw an animal being mistreated he looked upon it as someone torturing the soul of someone who had done some evil in life, thus being relegated to the body of a lesser being after death. As a stableman and cowboy, he would have had great affection for the animals he saw being mistreated on a daily basis. In 1898 Hawaii was annexed as a territory of the United States. The new Police Force was set up by a man named Arthur Morgan Brown, who was the son of a sea captain. Mr. Brown, like Chang, was born in Honolulu. And they were both friends with Ms. Helen Wilder. And so Chang became one of the first policeman in Honolulu after the annexation by the United States. By 1904 Changs reputation as a tough, but fair and honest cop, was cemented in the islands history. He once rounded up 40 of Hawaii's most notorious gangsters and gamblers in a single sweep. He disguised himself as a street person and gained entrance to the gambling hall. He then produced his fearsome whip, cracked it loudly once, and marched all 40 of the gangsters to the jail. Not one of the criminals dared to go for their weapons, as Changs skill with a whip was beyond legendary. Earl Derr Biggers was an author in search of a new novel when he arrived in Hawaii in 1920. He was a very successful author of fiction, as well as a contibutor of short stories to the Saturday Evening post and Ladies Home Journal. His arrival in Honolulu coincided with the opium epidemic that was sweeping the island at the time. Mr. Biggers was fascinated with the daily paper and the stories of the opium dens and police corruption. He was already writing a novel about it all, "The House Without a Key", in his head, when he met Chang Apana. 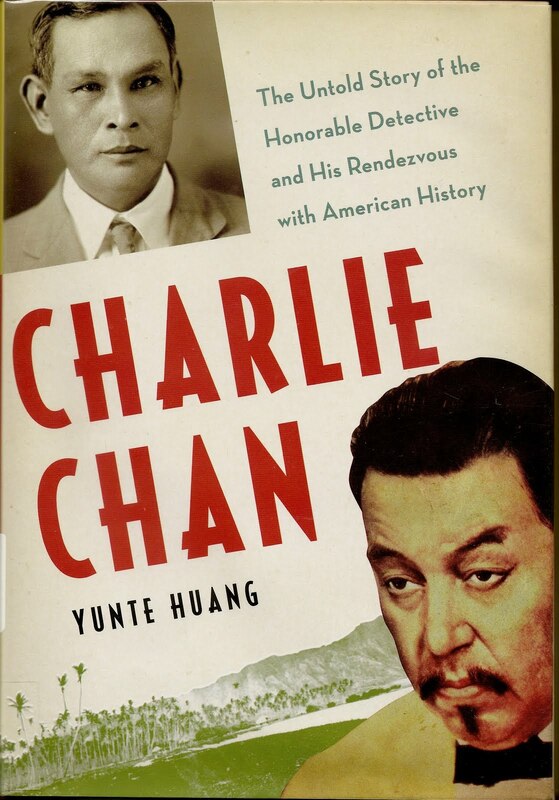 This would become the first novel he wrote in which the fictional Charlie Chan appears, although the first Charlie Chan book would not make it's appearance until 1926 with the release of "The Chinese Parrot." Taken by the polyglot nature of Chang and his philosphies, the author began to write a sketch of a fictional Detective, who embodied all of the things he saw in Chang. A mixture of wisdom, cunning and daring, this character was the mirror image of the real life Chang. By 1926 "The Chinese Parrot" was released, beginning a run of 6 books featuring the fictional Charlie Chan. In the 1930's these books became the basis for all of the Charlie Chan films to come later. This book is broad in it's scope, combining both the history and the legends, to illustrate the creative process that gave birth to one of literature's most endurable fictional characters. Somehow, the author has managed to present all of this information in a wholly readable fashion. Chang Apana passed away in Honolulu in 1933. In writing this book the author draws on the famous Detectives interviews from 1932, as well as newspaper articles of the time, to capture the essence of this legendary man. But no account of either the fictional Charlie Chan, or the real life Chang Apana, would be complete without quoting from one of his many philosophical observations. "Truth like football - receive many kicks before reaching goal."